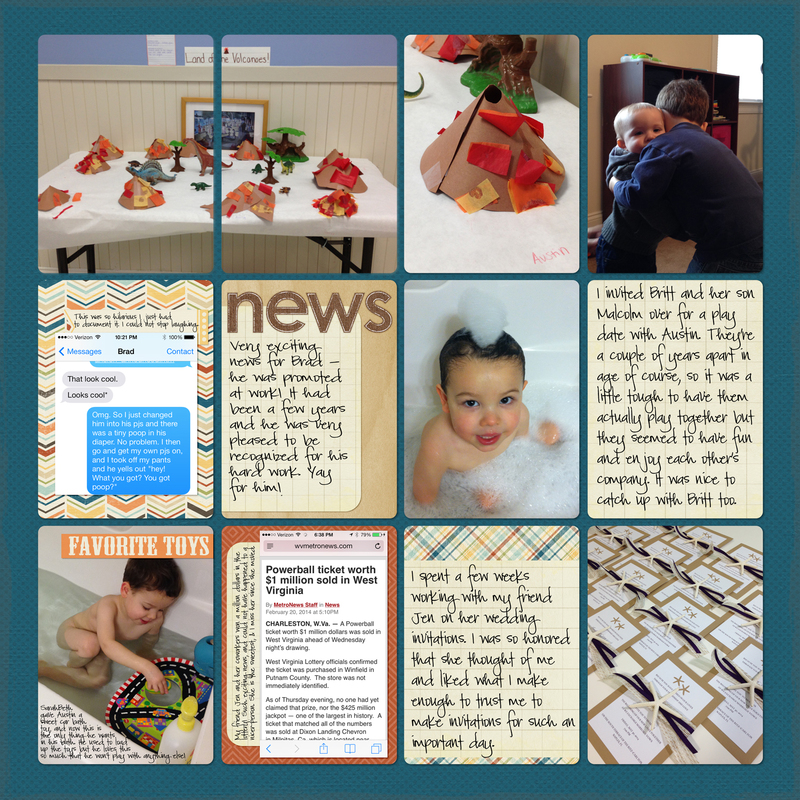 Today I'm sharing the right half of the layout I'd started and shared a couple of weeks ago. I pretty much finished out the month of February with this one page. One of the things I've changed with my Project Life this year is that I'm really trying to make what I include important. I'm including less of the random stuff that I share on Instagram (pictures of my nail polish, a random meal I ate, etc). Since I'm doing this, it means sometimes I can fit 10 days worth of stuff on just one page, like the one above. 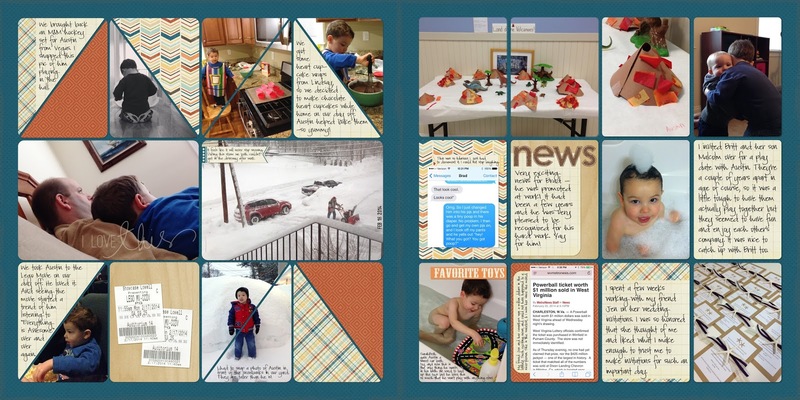 As with the previous page, I used the free Top Ten mini kit from Julie Billingsley over at Sweet Shoppe Designs for my papers on this layout, along with one of the basic journaling cards from the Project Life Azure journaling card pack. My template for this page is from Cathy Zielske. 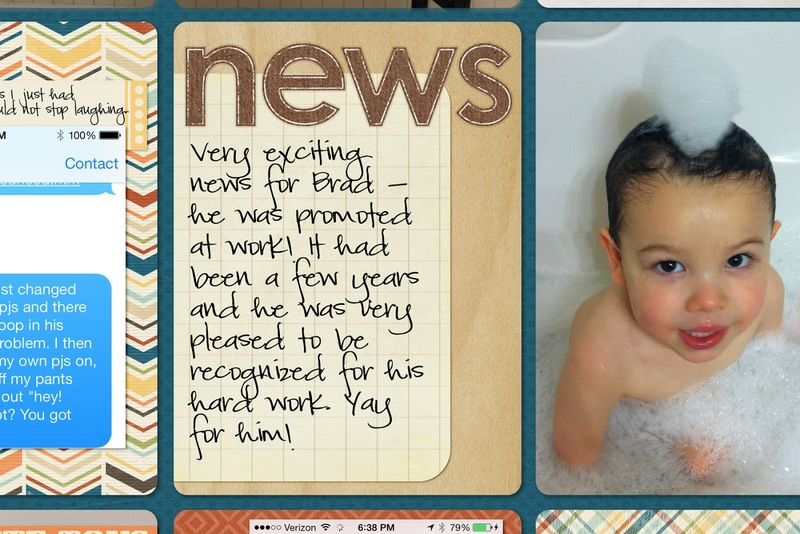 I included a note on this page about Brad's promotion. 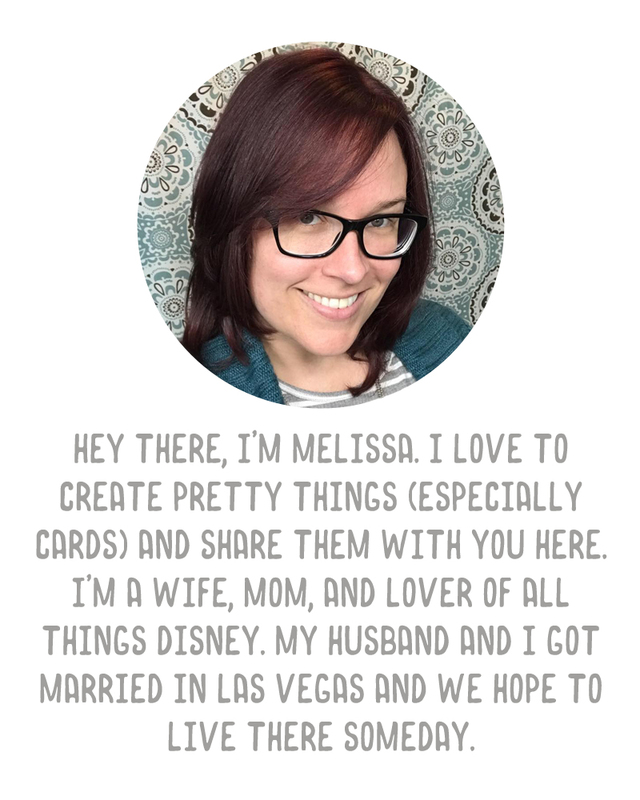 For the alphas, I used a freebie Kraft alpha from Mommyish. Other things included on the page were: a funny story I'd texted to Brad one day, a screenshot from a story about my friend winning part of a $1M lottery, a photo of some wedding invitations I'd made for my friend, a note about a new favorite toy Austin has been playing with, a playdate, and a photo of some volcano art Austin made in preschool.